For enthusiasts looking for a new bike, who don’t want or need an expensive ride — the Storck Visioner C is an ideal cycle to take a look at. 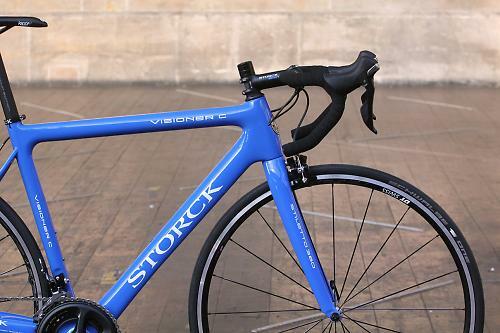 Storck is a German brand who is known for their tech, and this 2016 Visioner C is a great entry- to inter-mediate level carbon road and racing bike that will not put too much of a dent in your wallet. First off, the design is quite nice and is very classic but boasts features that are typical in the German Storck line. With high stiffness in the head tube and BB areas (via carbon fiber construction), this Storck also does the rider another solid — cables and lines for mechanical and electronic gearshifts are internally routed, which gives the bike a clean finish. 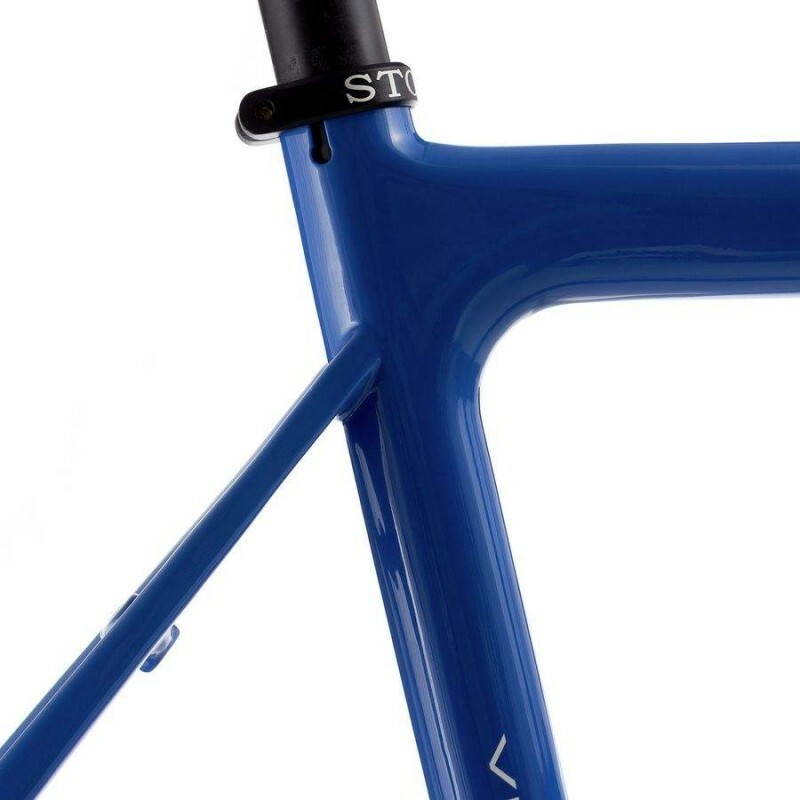 The frame of the 2016 Storck Visioner C is made from Carbon Fiber, which is very lightweight and extremely stiff and strong. This is a great combination for road bikers and mountain bikers who want a lower weight. However, this model weighs in at 1,250 grams, which is 230 g heavier than the typical, traditional bike frame. Carbon frames are more expensive than alloy and steel frames due to the expertise needed to make them. While they are stiff, carbon fiber is not invincible — the frames can be brittle and if you are riding hard and crack it, it can take a few hundred bucks to repair it. That being said, you most likely will not crack your carbon frame and it is a much better choice than an aluminum alloy. 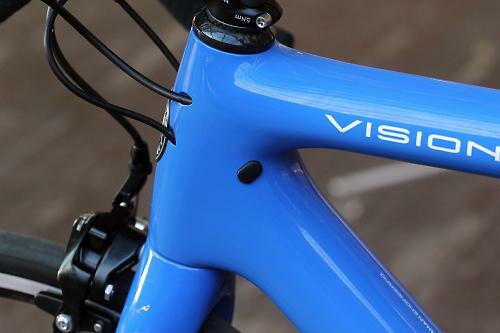 The Visioner C is categorized as a “traditional road bike.” this means that it is designed for speed above all else. The bike is stiff, light, (the seat can be uncomfortable), and the geometry is aggressive in order to maximize efficiency. This means a better power transfer to the drive train. The handlebars are set lower for an aerodynamic posture and the 700c wheels are close together for quick handling and maneuvering in mind. Also known as an “enthusiast” cycle, with Ultegra components, a 700c wheel, carbon fiber frame, and more, this Visioner C comes in five different sizes ranging from 51cm to 63 cm. 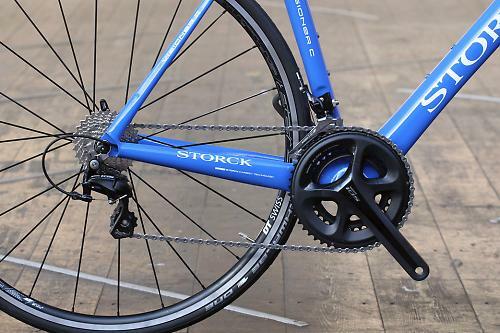 Perfect for men and women alike, this Storck 2016 model features a 2×11 gearing that will be great for some while tough for others in certain terrains. The Visioner C has 2 chainrings on the Shimano Ultegra 51/36 crankset. There are 11 gears on the cassette which gives this road bike 22 possible gear speeds. The 22-speed bike has a max ratio of 52/11, which combined with the 700c wheels, gives a max gearing of 137 gear inches. This is very high and allows you to attain very high top speeds when cycling on flat terrain. The minimum gear ratio is 36/28, which gives 37 gear inches. It’s actually pretty high for minimum gearing and will make climbing a lot or taking to steep ascents pretty tiring for the rider. 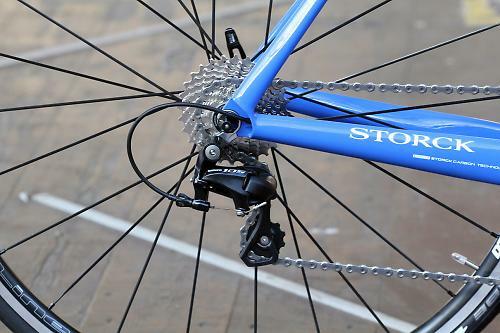 The most common groupset used for the Storck Visioner C is the Shimano Ultegra. These components are not the extreme top-of-the-line, which is a good in-between. 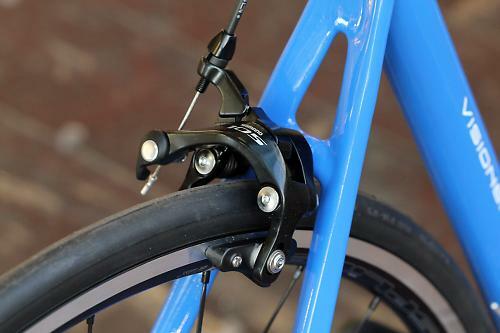 Ultegra is Shimano’s second-best road groupset and is less expensive. It does feature the same overall design, performance, and features as Shimano’s best groupset — Dura-Ace — but it has an increased weight. 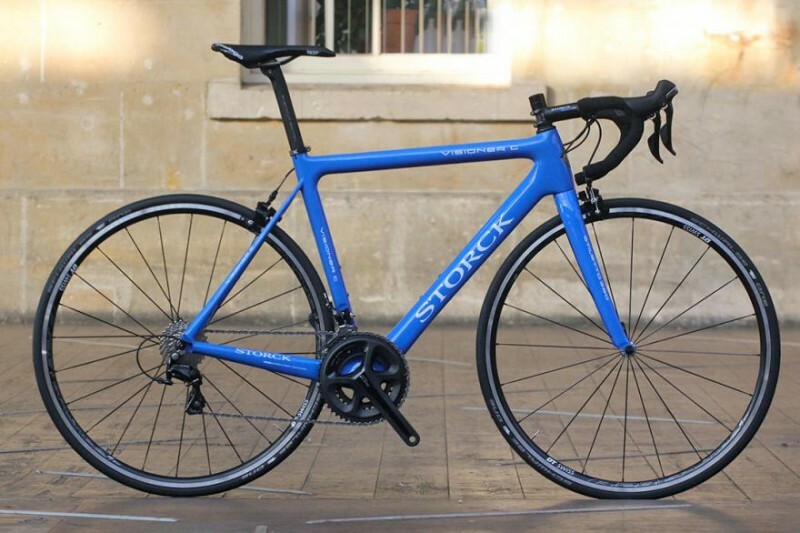 The Storck brand has had a reputation as being technically advanced, lightweight, and quality. The “C” stands for carbon (as in the frame), but they have a low volume production, which means they require premium pricing. The Storck Visioner C is a fast bike with very reacting handling — where you even think this bike will go, it will go intuitively. In fact, it is so sharp in its handling, that it might be too much for some riders who aren’t used to it or like a more relaxed ride. Gravel Bikes: The Future of a New Cycling Niche or Just a Trend? Is this Yet-Unnamed Cycle the Lightest Road Bike Ever Built?